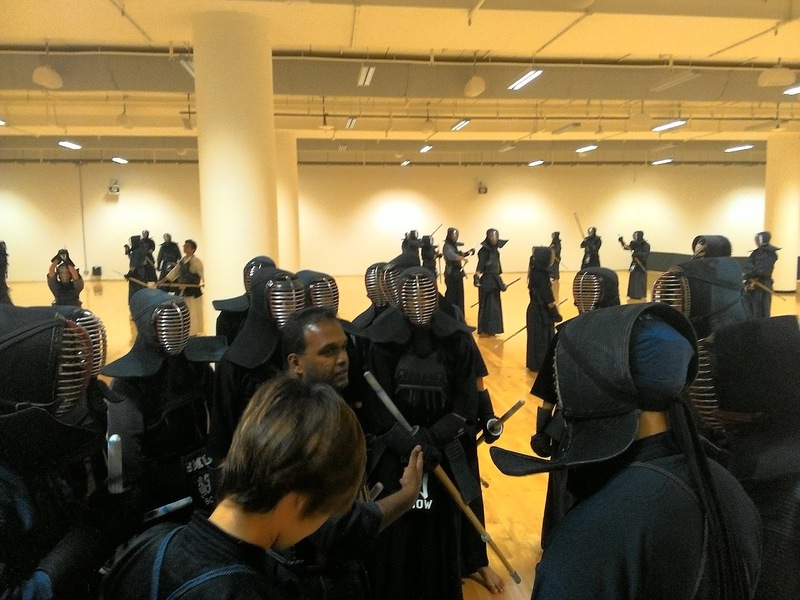 Singapore Kendo Club News: Singapore Kendo Club is now at the Sports Hub! Singapore Kendo Club is now at the Sports Hub! 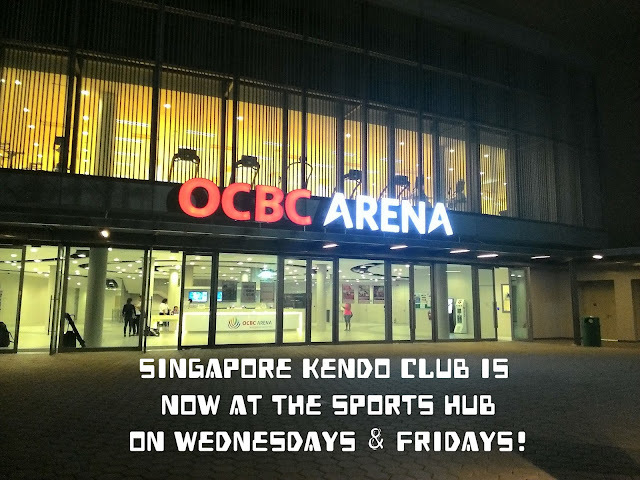 Following the EOGM in April this year, the gears have been rolling and as of 1 July 2015, the Singapore Kendo Club has now shifted our Wednesday training sessions to the OCBC Arena at the new Singapore Sports Hub. 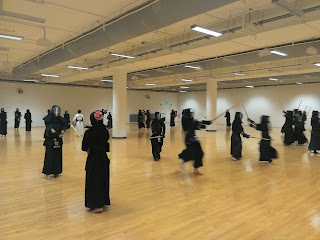 In addition, we have an extra training day there on Fridays as well. The OCBC Arena, located just a short walk away from Stadium (CC6) & Kallang (EW10) MRT stations, boasts a larger space, with a suitable wooden floor and ample ceiling height - a venue ideally suited for Kendo. 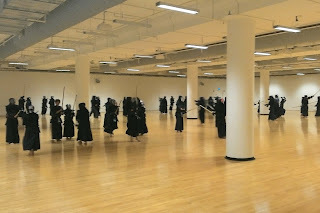 There is enough space to conduct the beginners course at the same time, without compromising anyone's safety. Sunday @ Changi Japanese School, 9 -10.30am & 10.45-12.30pm. Wednesday @ OCBC Arena Hall 4, 7 -9pm. 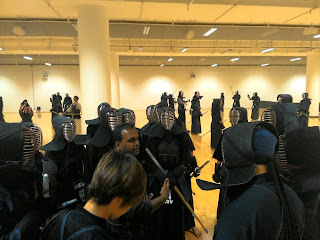 Thursday @ Clementi Japanese School (2-Dan & above only) , 7.30-8.30pm. Friday @ OCBC Arena Hall 4, 7 -9pm. If you would like to join us for trainings please send us an email, and we will get back to you as soon as we can. To find out how to get to the our training venues, please see this link.